COOKEVILLE – An investigation by Special Agents with the Tennessee Bureau of Investigation and investigators with the Tennessee Comptroller of the Treasury has resulted in the indictment of a former chief of an Overton County volunteer fire department. At the request of then-13th District Attorney General Randall York, on May 8, 2014, the TBI began investigating a complaint of funds missing from the financial account of the Hardys Chapel Volunteer Fire Department in Cookeville. An audit of the department’s finances by the Comptroller’s office found a cash shortage of at least $37,496.11 from January 1, 2013, through May 31, 2014. 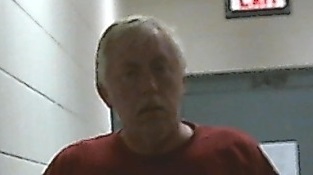 The investigation revealed former Hardys Chapel Fire Chief Terry Lee Priest as the individual responsible for the theft. On July 17th, the Overton County Grand Jury returned an indictment charging the 51-year-old with one count of Theft over $10,000. Today, Priest was arrested at his residence in Sparta and was transported to the Overton County Jail, where he was booked on a $40,000 bond.